Play the Gwent: The Witcher Card Game techincal beta on PS4 at last. Gwent: The Witcher Card Game has been in beta on PC and Xbox One for some time now, with an open beta to come at some point. But today, CD Projekt announced that the free-to-play game is coming to the PS4 this weekend for a technical beta. To access the beta, search for Gwent: The Witcher Card Game Technical Beta in the PS Store and download it. It kicks off tomorrow, March 31, at 10AM PDT/ 1PM EDT/ 6PM BST/ 7PM CEST. Participating regions include Europe, North America and South America, and the available languages are English, German, Russian, French, Brazilian-Portuguese, Spanish, Latin American-Spanish, Italian and Polish. It ends on Monday, April 3, at 2AM EDT/ 7AM BST/ 8AM CEST, which is Sunday April 2 at 11PM PDT. It’s around 3GB in size and you don’t have to have PS Plus membership to get involved. You’ll be able to build your own decks, take a look at the tutorial, and play in online casual matches. Unlike the beta running on PC and Xbox One, PS4 players won’t be able to buy in-game items with real money, like Card Kegs, and your account will be deleted once the technical beta wraps up. 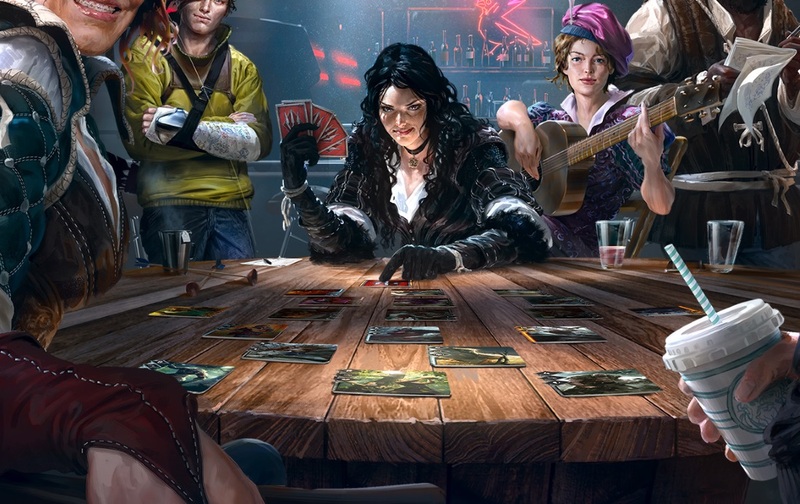 I loved playing Gwent in The Witcher 3, and I can’t wait to get stuck in this weekend. Is anyone else planning on giving it a whirl? Have you already been playng on the PC or Xbox One? Let us know in the comments.